John Desmond of Bandon draws attention (letters, HI 20.5, Sept./Oct. 2012) to the murder of the Coffey brothers on 14 February 1921 in Enniskeane by Essex Regiment soldiers, soon after that of Thomas Bradfield on 1 February 1921. An elderly Protestant farmer from Bandon, Bradfield had mistaken a Scottish-accented IRA man for a British soldier and unwisely advised him of a ‘dugout’ he had discovered on his land. He declares the deaths of James and Timothy Coffey have not been linked to the later Dunmanway massacre in April 1922, adding ‘the seed of the now infamous Bandon Valley massacre was sewn’ there and ‘matured several months later when those same forces vacated the military barracks in Dunmanway, leaving behind unfortunately for some people, a diary containing their names, and those of other informers’. He explained how ‘two masked civilians, who were members of the “Anti-Sinn Féin Society”’ led soldiers directly to the Coffey brothers’ bedroom, and that one of the two later escaped (from the Dunmanway massacre) and was awarded compensation for ‘dislocation’. This was apparently Richard Helen from Clonakilty who was also said to have passed information to the police shortly after the murder of District Inspector Michael Kenny (or Keany) and the serious wounding of his 16-year-old son Edward on 11 February 1922 in Clonakilty where he had been head constable. Mr Desmond concluded by asking that ‘historians delve into the unresearched facts, and then let all the dead rest in peace’. But history is never about letting the dead rest in peace; rather it subjects them to constant re-excavation. It wouldn’t be history otherwise. I don’t doubt that many, perhaps most, of those 13 Protestants (or their relatives) who were taken out and killed that April had assisted the security forces or the British administration during the War of Independence; few wouldn’t by commission or omission. Those attacked included: Revd. Ralph Harbord who was badly wounded at Murragh rectory, the house of his father Canon Richard Harbord, and probably mistaken or substituted for an army brother; John Bradfield, shot dead despite the killers asking for his brother William; and 16-year-old Robert Nagle, shot dead in place of his father, Thomas, caretaker of the Masonic Hall in Clonakilty. It appeared anyone in the family would do on those nights. The killers were not being particular as this was sectarian terror fuelled by vengeance—ethnic cleansing if it had continued at that pace. And if the Protestants were not known to have collaborated they were perceived as having done so in suspicions that conflated spies, informers, boy scouts, freemasons, YMCA members, and ‘anti-Sinn Féin Society’ loyalists, not unlike the toxic reasons of those murdering Catholics so often in the later Troubles. But that is not the modern point. It was in this instance, as in Peter Hart’s chapter title, a matter of ‘Taking it out on the Protestants’, and the consequences were extreme like other such mass killings: the 13 Catholic civilians on Bloody Sunday in Derry in 1972 or the 10 Protestants in Kingsmill, Armagh in 1976. The trigger in April 1922 was the raid on the Hornibrook house at Ballincollig and the defensive killing of Vice-Commandant Michael O’Neill by Herbert Woods, the nephew of the husband of Matilda Hornibrook. Unless that was the first act in what was then made massacre, why otherwise would the IRA in West Cork (with its top officers absent in Dublin) raid a prominent Protestant’s house in the middle of the night except either to kill the occupants or at least destroy the building? Woods, Thomas Hornibrook JP and his son Samuel were taken away and either hanged or shot. Their bodies were never located. They are amongst the ‘disappeared’. Another seed is likely to have been the fact that on 15 December 1920 in Dunmanway, Cadet Harte of the Auxiliaries had killed a Catholic priest, the elderly Canon Magner and another man. Harte was later found guilty but insane, his mind said to have been affected by the Kilmichael killings a few days earlier. That the Bandon area is significantly more Protestant than elsewhere in the South is of course relevant in terms of related motives such as economic jealousy, land grabbing and anti-masonic suspicion. The more better off Protestants the more resentment. The air of revenge in the city and county of Cork after the truce is also evidenced by the killing of a number of RIC officers such as DI Kenny who had apparently defended Rosscarbery barracks during the IRA attack in March 1921. The attempts at a cover-up of the plainly sectarian motives in Dunmanway by so many writers, then and now, smack of collusion. We are told by John Desmond, that the killings can be explained by that British intelligence document or diary-naming informers, or ‘helpful citizens’ in the Bandon area. It remains inaccessible. Despite its continued invisibility it was used as evidence of legitimate motive by Meda Ryan and is quoted extensively in the Wikipedia article on Dunmanway. The recently digitised Bureau of Military History statement by Michael O’Donoghue (Engineer, 2nd IRA Cork battalion) honestly explains, ‘These people were done to death as a savage, wholesale, murderous reprisal for the murder of Mick O’Neill. They were doomed to die because they were listed as aiders and abettors of the British Secret Service’. However he prefaced his comments by saying that as all the dead were Protestants it may have given ‘the slaughter a sectarian appearance’, asserting instead, ‘Religious animosity had nothing whatever to do with it’. But what Southerners and Republicans need to grasp is that Protestants in the South then and still so in the North, constitute an ethnic or national group, one wider and greater than its religion. Killing them for their ethnic loyalties is also sectarian. Sir,—In her review of Barry Keane’s Massacre in West Cork (HI 22.3, May/June 2014), Eve Morrison is critical of my use of documents left behind in 1922 by departing Auxiliaries in Dunmanway Workhouse. She questions whether I had ‘actually seen them’. I stated publicly in a 2011 TG4 documentary, Scéal Tom Barry, that I had. In 1981, while researching a short commissioned Mercier Press biography of Tom Barry, I interviewed former flying column volunteer Dan Cahalane. I want to stress that in my work I had already built a trust with people—this is important. In the course of an interview with Cahalane, he showed me the documents he had received on loan. He studied them carefully and was able to pinpoint names plus details regarding the thirteen men killed between 26 and 29 April 1922. During the course of interview/discussion he constantly referred to the named ‘helpful citizens’ as ‘loyalist’. Religion was not a factor for him in discussing the many named people. Being from the locality, however, it was possible for me to discern religious denomination (sometimes mentioned) and families known to me. Tom Barry’s Guerilla Days in Ireland drew a distinction between ‘spies’ and ‘informers’. He reported, ‘we knew men were being sold’. ‘Spies’, he noted, ‘took blood money.’ ‘Loyalist informers were far more dangerous than the spy—they weren’t doing it for money’, they ‘hated the Republican movement’ and were ‘therefore worse’. He always stressed that ‘Loyalism’ was not confined to a particular Christian denomination. I did not use the information in my first short Barry biography. However, after the introduction of the IRA sectarianism argument in Peter Hart’s The IRA & its Enemies (1998), I felt motivated to use relevant material in Tom Barry: IRA Freedom Fighter (2003). Hart wrote: (a) of the IRA targeting Protestants because of their religion during the War of Independence; (b) ‘These men were shot because they were Protestant’, regarding the April 1922 killings. As well as other details, in Tom Barry: IRA Freedom Fighter I wrote, ‘In the course of my extensive interviews over the years with ex-IRA participants of the period I did not hear of “ethnic cleansing” and “ethnic conflict” as Hart wrote’. It is important to note that there was a Truce in April 1922—sometimes uneasily observed. In the absence of policing and an acceptable functioning court system, this was broken many times in areas of Ireland. Law and order had receded. However, most of the IRA and its leadership observed Truce terms. Regarding the April 1922 incidents, my book mentioned the names/surnames of the men who were killed because Peter Hart had named them. I found that chapter personally difficult to write. To reiterate the point, I was from the area. I do not know what has become of the documents. Dan Cahalane did not tell me to whom he was returning the material. Flor Crowley, I understood, also had them on loan. After the publication of my book in 2003, when a controversy arose, I tried to locate the ‘Dunmanway Find’ and so far have failed. I have written that some of the men who were killed during that period were discussed in correspondence between Risteárd Ó Glaisne and Tom Barry in 1949. Ó Glaisne wrote that he was only ‘acquainted with the “over-ground”’, and appreciated getting ‘the whole truth’ from Barry. They discussed attitudes among some ‘loyalists’ at the time. No other details were in Barry’s private papers other than Ó Glaisne’s correspondence, which I reported. However, I am informed by Niall Meehan that a subsequent letter from Barry to Ó Glaisne is in the latter’s papers, and that it does not discuss the April killings. As I had Barry’s papers on loan, I returned them once my work was completed. I do not know who refused Morrison ‘access’ (as she does not say), but I have no control over those private papers. With regard to Morrison’s reference to my use of private collections and personal interviews, I feel fortunate that many families trust and have trusted me, to give me their private collections on loan, which I always return. I hold my personal interviews, as many historians do. 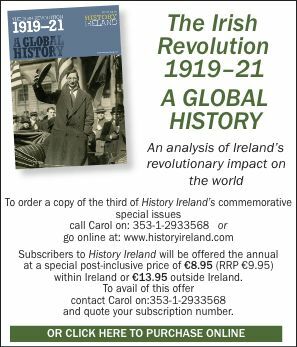 Fortunately, most of my interviews have been with active participants (primary sources) in an important period in Irish history. I use them prudently for ongoing research and writing. It is unknown exactly who carried out the April killings and I won’t speculate. The West Cork IRA leadership wished to maintain Truce terms and were in Dublin at the time endeavouring to ward off civil war. Upon return, they initiated ‘guards’ on the homes of those thought vulnerable. Former flying column volunteer Jim Kearney wrote to me (quoted 2003), ‘I was one of the guards, so I should know’. AJS Stephen Brady’s father was a rector; in his memoir Briar of Life, Brady confirmed ‘guards’ outside their Macroom home at that period. Professor John A. Murphy later stated that his father guarded the rector’s home. Sir,—In the robust debate about West Cork in April 1922 Dr Eve Morrison’s review of Massacre in West Cork is almost shocking in its mildness. It contrasts sharply with Dr Gerard Murphy’s review [in the Dublin Review of Books], which I found crass, mean-spirited and nasty. Most points raised by Dr Morrison are matters of opinion. I disagree with many, especially in relation to the use of anonymous or private sources in history, but that debate might be better discussed outside the letters page of History Ireland. I was also amused to discover that my ‘research is heavily indebted to Hart’s’. I examined this subject between 1983 and 1987. My first (and last) tentative article is mentioned in The IRA and its Enemies (1998) but it was not until 2010 that I returned to the subject. I am more than capable of doing my own research. The wealth of new evidence in Massacre shows that. Of course, I correct Hart, Ryan and others, but surely that is normal academic activity and not something to criticise. However, I must respond to Dr Morrison’s claim that I misconstrue Major Percival’s post-war lectures. In Massacre (p. 94) I wrote ‘. . . Major Percival states that his main sources of information were loyalist farmers and that he kept a six-inch map which identified the individual houses of those known to him on his office wall’ at the start of a section dealing with British intelligence-gathering. Dr Morrison states that Percival ‘identified local loyalists “especially those who were not afraid to tell him [the intelligence officer] what they knew” as one of several intelligence sources, along with captured documents, regular reports from an IRA Captain and anonymous letters’. Is she correct? What does Percival actually say? (i) Most important of all, an I.O. must move about the country and hunt for information. It will not come to him if he sits in his office all day. (ii) He must keep in close touch with the loyalists—especially those who are not afraid to tell them what they know. This is not always an easy thing to do, as if the IRA suspected a Loyalist of giving information or being too friendly with the Crown Forces, it meant certain death for him . . .’. Dr Morrison’s review does not reflect the value Percival attaches to the sources. He says, for example, that anonymous letters were of little value. On this evidence I quoted Percival correctly. After all, what does most profitable in the quote above mean? In this quote Percival directly contradicts Peter Hart’s contentions that ‘in the south Protestants and those that supported the Government rarely gave much information . . .’ and ‘they did not know anything very damaging to the IRA’ (Hart 1998, pp 305–6). As a result, this section of Massacre is very important to those still fighting the ‘Peter Hart War’. In my view they are welcome to their war. While the debate on the construction of his book is essential reading for all students of historiography, I believe that it is time for general history to move on. Sources have increased, new insights are available and, besides, the man is dead. Historians will simply have to stop looking at West Cork only through the prism of Hart. Dr Morrison also correctly says that Percival’s 15ft by 10ft wall-map of the area from Dunmanway to Kinsale showed ‘hostile’ and ‘friendly’ houses. However, they are not differentiated on the map as Dr Morrison suggests. Saying ‘he kept a six-inch map which identified the individual houses of those known to him’ was possibly too tight an edit (to reduce a paragraph to a sentence), but Percival says ‘as we got the information, I filled in the name of the occupier of each farm, or house. I also kept, in a book, a note of the political sympathies of these occupiers’ (Sheehan, p. 133). I say no more than that in the sentence.